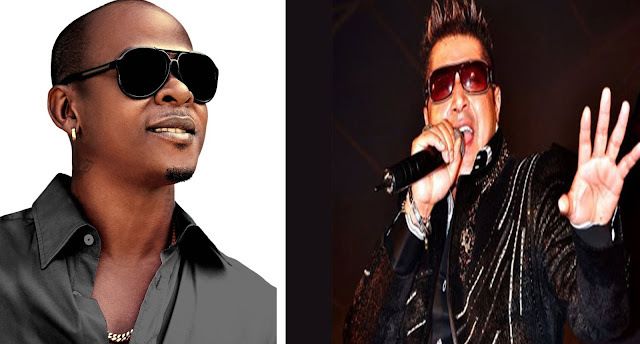 Dancehall star Mr. Vegas has collaborated with Asian Pop Music icon Taz to a record two new songs, Bollywood and I’ve Pulled That Gal (Koree Fasgeyaee). Taz aka Johnny Zee is a British singer and actor of Indian descent. He is the lead singer of the British Pop band Stereo Nation. Taz is widely credited as the pioneer of Asian Fusion Music. He first hit the charts in 1989 with an album titled, Hit The Deck, which spent 39 weeks at number one on the UK Asian Pop Charts. In 2005, he won the “Best International Artiste” at the UK Asian Awards. Mr. Vegas says he is very grateful for the opportunity to record with the Asian music superstar. Bollywood is scheduled to be the first of the two singles to be released. Vegas explained how the collaboration came about. "I was called by an international music executive who believed I would be the right Dancehall artiste for this project. Taz and his team are happy with the result, my team and I are also happy. Right now we are making plans to do an album together." Vegas has also collaborated with other international music stars including American Pop Music Queen Beyoncé and Hip Hop star Pitbull.